1. SCD Department, U.O.No.14/SCD.RS/2018, dt.19.04.2018. 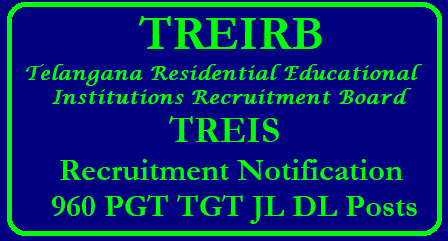 the Telangana Residential Educational Institutions Recruitment Board (TREI-RB) as shown below.